Our Vision at Payger is to accelerate the transition to the blockchain based digital economy. Following our passion we developed the growing Payger Ecosystem and are happy to share our roadmap for the next coming months. In April we worked on the integration of the blocktrades bridge, improved the exchange feature with the BitShares Decentralized Exchange and solved some bugs around the transaction history. In Mai we focused on extensive bug fixing and some UI/UX updates before the first release of the Payger Wallet alpha version. May 21st 2018 we released the first Payger Wallet. In June we focus on further bug fixing and improving the stability of the Payger Wallet. This month we are working on the invite friend feature and improving the On Boarding process. Further we started working on the first wireframes for the Payger App for Android and iOS. In July we plan to integrate a KYC partner into the Payger Wallet to reduce the on boarding process to a few minutes. Further we planning to add a contact list feature to add and remove other Payger users. In August we accelerated the Payger Wallet development and continued with giant strides. We fixed a round of bugs and made functionally, usability and UI/UX improvements. Further, we released a new version of Payger Wallet v.1.0.425. You can read more about it here. In August we also added the digital currency icons for all supported tokens, added a currency filter feature and opened up Payger for Merchant account registration. For September we are planning to finetune the Payger Whitepaper, complete the Merchant Tools v1. and to accelerate the integration of our KYC partner for a faster user onboarding. We are also going to dive deeper into supporting more digital currencies and to enable Payger users a 1:1 deposit/withdraw of multiple digital currencies. More on that soon. In October we finished most of our open tasks and improve the Payger customer support. We are also planning to work on adding an additional bridge which will enable the users to deposit/withdraw new digital currencies. In November we want to finish most of our open tasks and improve the Payger customer support. We are also planning to work on adding an additional bridge which will enable the users to deposit/withdraw new digital currencies. In December we set up a demo online shop for Payger to showcase the merchant tools. The product demo shows you how merchants can start accepting Bitcoin, Ether, BTS and more at the point of sale easier. For December we are also improving the user onboarding, so that new users can register with their username, password and pin and get a first overview over the Payger Wallet without the requirement of full registration. This will be a great way to see if the Payger Wallet is something for you. In Q1 we are working on the integration with Net Element and Netevia. Through our strategic partnerships, we offer payment service providers (PSP), independent sales organizations (ISO) and merchant crypto processing services for the leading cryptocurrencies. 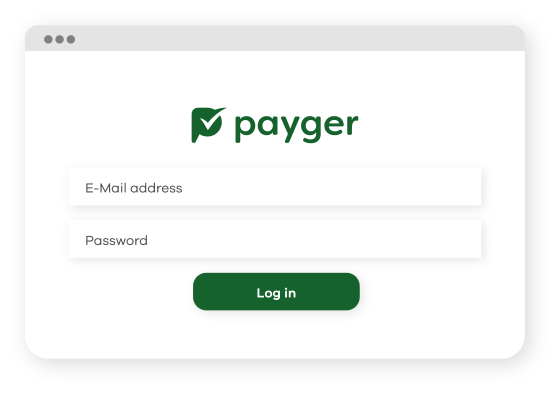 We also started working on the technical and function description of the Payger express checkout button. For Q2 we plan to release the first version of the Payger Express checkout button for online merchants. We are also preparing the native integration of the Bitcoin and Ethereum blockchain into the Payger platform so that we can support the most popular ERC20 and ERC721 tokens. Our goal is to make the True USD, Circle Dollar, Gemini Dollar, and Euro STATIS accessible for payment and settlement on all platforms. In Q3 we plan to extend our services and provide fiat gateway services within the Payger Wallet. Our goals are to make the purchase and sales of cryptocurrencies like Bitcoin, Ethereum, Dash and BitShares and Steem as well as stablecoins like USDC, TUSD, EURS and simple as possible. In Q4 we are planning to work on new features like biometric password and private key recovery, Payger marketplaces and many more. The Payger ecosystem is growing every day and we are adding new features, partnerships and users to our network. You want to learn more? Want to help us to accelerate the transition to the digital economy then join our telegram and our forum for latest updates and feedback.